Toei Animation is considered the ”Disney of Japan,” with a huge catalogue of popular anime titles. For their U.S. launch they needed a site that would differentiate them from the competition, with the ability to scale up in the future. 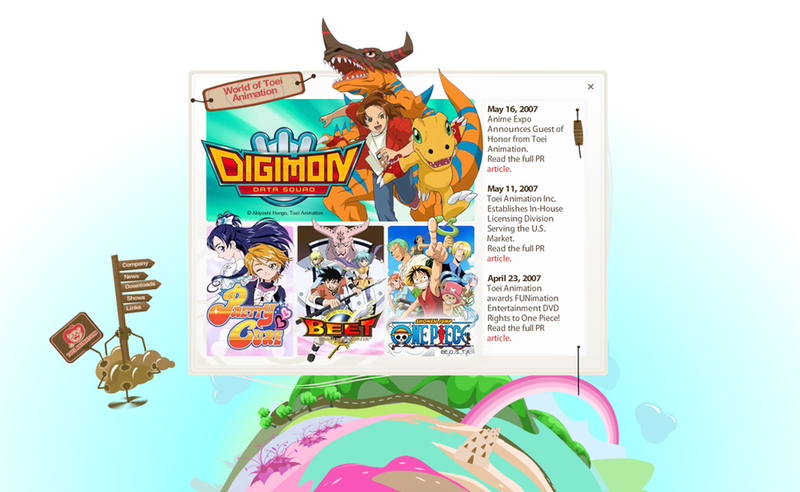 We delivered a fun, distinctive site that has the ability to grow in content and functionality. Three different levels of the “world” rotate independently of each other, stopping at a predetermined degree of rotation allowing for 46,656,00 combinations. Each area of the layers contains a rich bank of various animated characters, plants, or objects that appear as soon as the rotation stops.